The Crowne Plaza Hotel - Springfield is designed and decorated with the gracious charm of a fine European hotel. The Crowne Plaza - Springfield has newly upgraded bedding in all guest rooms, featuring plush comforters, feather pillows, and pillow-top matresses. Reserve your room now and have have the confidence you are receiving the lowest rate you can find on the Internet guaranteed. Conveniently located directly off Interstate 55 and historic Route 66 and near the World Headquarters for Bunn-O-Matic Corporation, Illinois Department of Transportation and the Illinois Secretary of State office complexes, the Crowne Plaza-Springfield is also just minutes away from Springfield's historic Abraham Lincoln sites, including the Abraham Lincoln Presidential Library and Museum.To take care of your professional needs, we have a complete Crowne meetings department that can handle meetings from 10 to 2000.Join the Crowne Plaza - Springfield for dinner at our Rosewood Dining Room and follow with a relaxing after dinner drink at The Mahogany Bar and Grill. 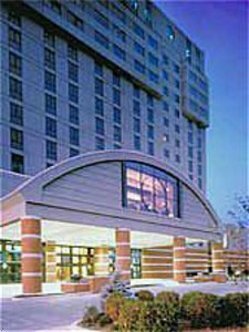 The Crowne Plaza - Springfield also is proud to offer Starbuck's Coffee in our Lobby CafePlaytime is covered also by our 14th floor Indoor Pool, Whirlpool, Sauna and sundeck This hotel is committed to providing accessible facilities under the American Disabilities Act. If your accessibility needs are not met, please contact the Hotel Manager on Duty. Should you require additional information regarding accessible facilities for guests with disabilities, please call 1-800-Holiday (U.S. and Canada) or contact the hotel directly. For the hearing impaired, TDD service is available at 1-800-238-5544 within the U.S. and Canada.